Won't be to everybody's tastes, but existing fans will certainly appreciate its charms. A good portion of the album is made up of ballad-oriented material, giving it a fairly laid-back appeal, but the interpretations are delivered in the Crows very own Americana style, with liberal smatterings of Folk, Country and Blues, and was mostly recorded live in one take, giving it a very fresh, vibrant sound. It even has two songs from the band members’ pre-Crows projects; Sordid Humour’s ‘Jumping Jesus’ is a moody contemporary rock number, and Tender Mercies ‘Mercy’ and ‘Four White Stallions’ are well-arranged blues-laden ballads. Of the songs I personally know well, The Faces ‘Ooh La La’ is passable, but offers little more than the original, in fact it’s not even as good as Rod Stewart’s own 1998 version, and I really could do without the terminally dull ‘Coming Around’ from the dreadfully dull Travis, but the lively version of Bob Dylan’s ‘You Ain’t Going Anywhere’ is very enjoyable. Also entertaining is their take on Country Rocker Gram Parsons ‘Return Of The Grievous Angel’, and folk superstars Fairport Convention’s ‘Meet On The Ledge,’ delivered in a contemporary rock style. Regarding the less well-known selections, Coby Brown’s ‘Hospital’ is an unusual indie/folk hybrid, Kasey Anderson & The Honkies ‘Like Teenage Gravity’ is a slow-burning serene ballad with hints of a Southern Rock style, Pure Prairie League’s ‘Amie’ is an irresistibly catchy mandolin-laden folk song, very much like Train’s ‘Hey Soul Sister’ in style, and Dawes ‘All My Failures’ is a wonderful meandering bluesy number. 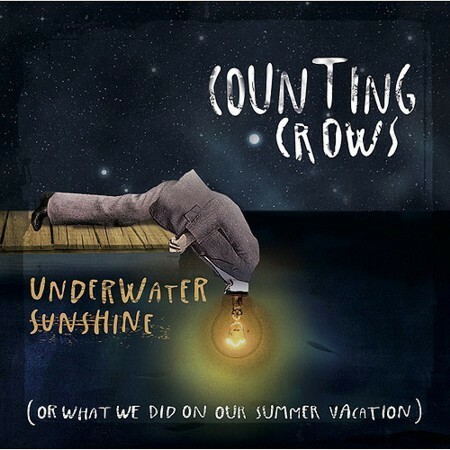 It certainly won’t be to everybody’s tastes, and unlikely to win Counting Crows an army of new converts, but existing fans will certainly appreciate its charms, and it will undoubtedly fill a gap until the next studio album arrives.